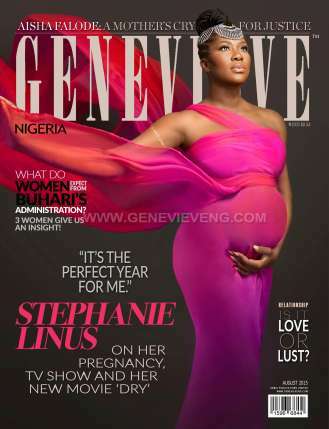 Stephanie Linus Covers Genevieve Magazine. Stephanie Linus is dazzling on the new cover of Genevieve Magazine. The expecting actress stuns in two outfits within the mag: a purple long gown, and a blue gown.